After years of speculation about the Kindle’s arrival in China, a wide-spread rumor that Amazon was going to open Kindle pre-orders on April 16 sounded credible, building on the US firm introduced its Kindle apps and e-bookstore in China just four months prior. That launch was believed to be a clear signal that the firm planned to launch its Kindle in China, however, the rumor turned out to be just that — a rumor. Amazon remained silent on April 16th and once again the timeline for the Kindle’s arrival in China fell back into uncertainty. It is not actually surprising that Amazon’s effort to introduce the Kindle to China needs more time. Given the current status of the e-book market in China, the outlook for both the Kindle and its e-bookstore seems full of challenges. 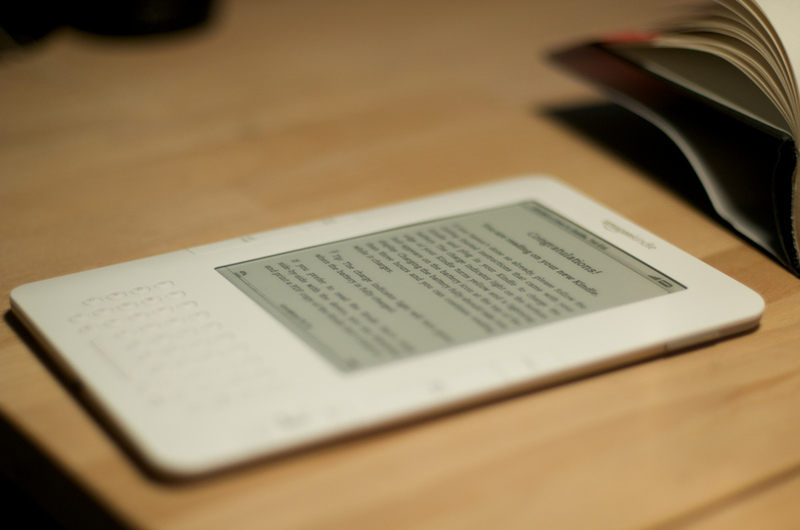 How big is the Chinese e-book market? Though China has more than 500 million Internet users, it is unclear just how many Chinese netizens are willing to pay for e-books, while the price that they are willing to pay remains up for question. To figure this out, Duokan embarked on a test sale of 17 e-books in the Apple store in January 2012, finding that the best-performing of the 17 sold just 8,000 copies in six months. A survey of Chinese female e-readers conducted by the China Press and Publication Post also reflected the fact that few were willing to pay. Only 12 percent of the respondents said that they would pay for e-books, while 49 percent said they wouldn’t. It isn’t just about users, since difficulty cultivating a market for paid e-books readers is also down to a lack of good e-book content. This leads to the fundamental challenge impacting the success of Amazon’s Kindle in China, which is how to obtain attractive and abundant Chinese e-book content from local traditional publishers given that they control the copyright of the majority of Chinese mainstream books. Negotiating with traditional publishers will not be easy for Amazon. Compared to traditional book-selling in China, the e-book business is not so attractive for traditional publishers. This is because the cost of producing high-quality e-books is high while profit from e-books selling are low given the limited buyer base. More importantly, concern about Internet piracy of e-book content in particular makes traditional publishers in China feel cautious and hesitant to enter the market. Then there are also doubts about the reliability of current encryption technology and the transparency of the sale data on e-commerce platforms. In addition, fierce competition from local player Dangdang also poses significant challenges for Amazon. As an early pioneer of selling books online, Dangdang took the lead in terms of collaborating with Chinese publishers. According to Wenfei Yi, Dangdang’s Vice President of Digital Content Development, the company’s 12 years of experience cooperating with traditional publishers, along with years of making publishers significant profits, give it the strongest network and strongest value proposition for traditional publishers in China. As early as 2011, Dangdang had already built partnerships with more than half of China’s publishers. “We have monopoly rights in many cases because of our exclusive book contracts with a sub-set of China’s publishers,” said Dangdang founder and CEO Guoqing Li. Even Chinese e-commerce giant JD (originally 360buy) cannot compete with Dangdang on the sourcing books from traditional publishers. To make up for the deficiency and compete, JD adopted a strategy of buying copyright directly from the writers themselves. On March 29th, the company launched its ‘exclusive e-book edition by star writers’ when it signed contracts with three famous writers who have created exclusive e-book content for JD. Bearing all of this in mind, Amazon still has a lot of challenges to overcome before launching Kindle devices in China. The priority for the company should be to develop partnerships with local Chinese publishers and solve the content issues. Without this, Kindle’s arrival in China will be doomed to failure — without a rich library of content, the Kindle will be just like a pretty flower without any roots.